Edison’s Entertainment Complex was the place to be on Friday, February 15th for fun and some serious fund raising. Two teams from CPA firm Scheffel & Company, PC took time away from working on taxes to participate in the Big Brothers Big Sisters Bowl For Kids’ Sake campaign. Through their community volunteer initiative Scheffel Shares, Scheffel & Company, PC believes in supporting community organizations like Big Brothers Big Sisters. 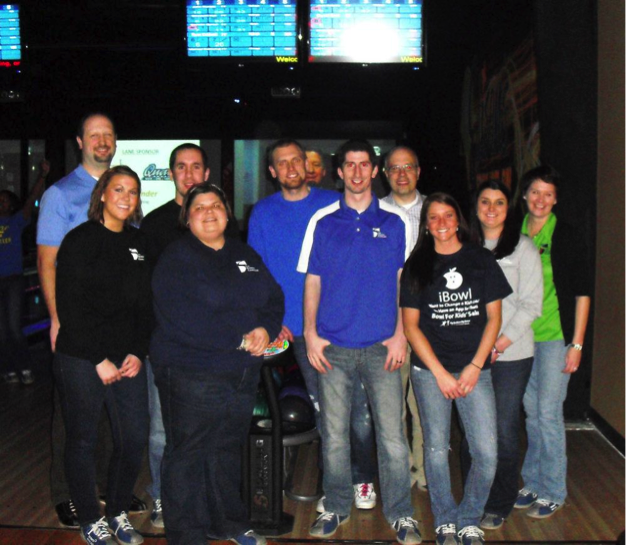 The ten bowlers raised $1,957 to help pair children with caring mentors. Big Brothers Big Sisters serves youth facing adversity in Madison, St. Clair, Monroe and Clinton counties. For more information about Big Brothers Big Sisters of Southwestern Illinois visit the website at www.bbbsil.org.